"I believe we are all here to help each other." 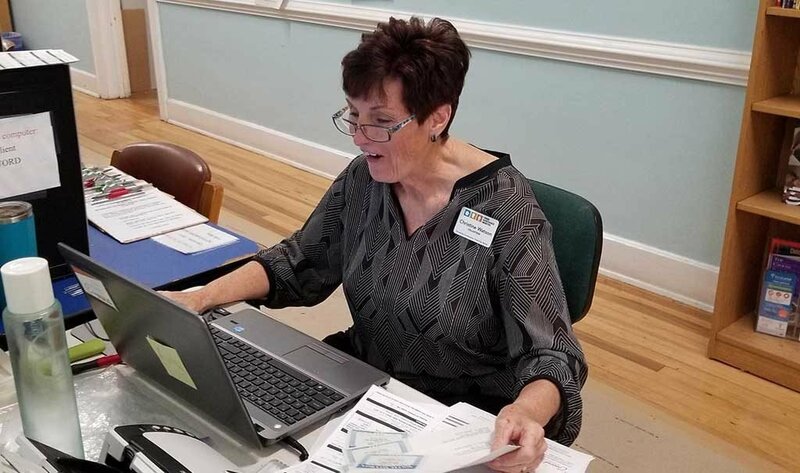 - Nancy Sipe The words of volunteer Nancy Sipe sum up the motivation behind the thousands of volunteers who give time and energy to help our community through Crisis Assistance Ministry. 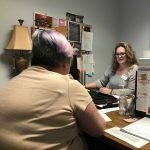 Nancy Sipe is one of the reassuring voices at the other end of the phone for Furniture Bank customers seeking appointments to shop free-of-charge. 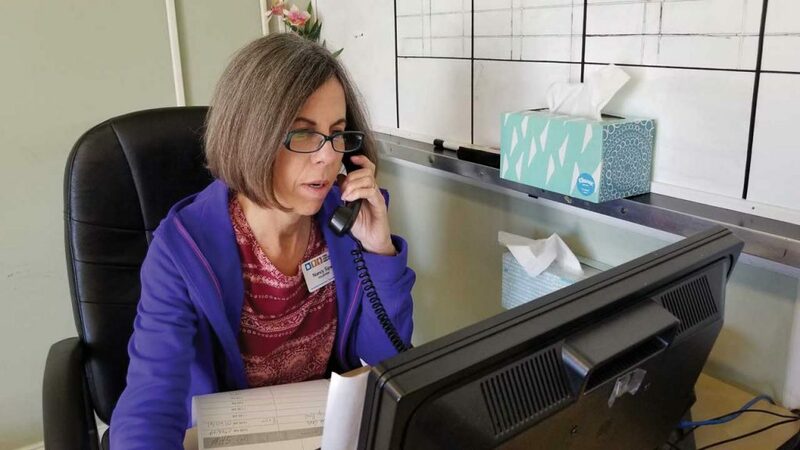 The words of volunteer Nancy Sipe sum up the motivation behind the thousands of volunteers who give time and energy to help our community here at Crisis Assistance Ministry. 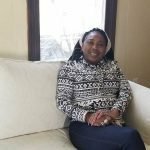 As a parent of children with special needs, Nancy is a veteran at juggling multiple demands on her time. 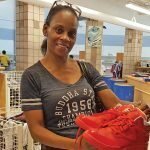 As her children reached an age where they needed less daily care, she turned toward a new role: volunteering in customer service at the Furniture Bank. 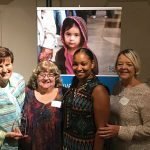 Recently, she and fellow volunteer Chris Watson received the agency’s highest volunteer honor: the Shirley Henry Award. Chris greets customers and does data entry at Crisis Assistance Ministry’s satellite office at the Ada Jenkins Center in North Mecklenburg. 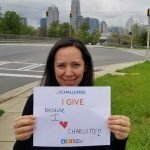 A mother of two and grandmother of two more, Chris retired as a computer manager at a university library and jumped at the chance to use her skills to help others. Chris Watson greets customers and manages data for services provided at the satellite location at Ada Jenkins Center in North Mecklenburg. On behalf of all our neighbors who find help, hope, and understanding here, we are so grateful for the generosity of volunteers like Chris and Nancy.